How critical is incident resolution at your company? When the estimated cost of downtime is $7,900 a minute, how do you ensure you’re setting yourself up for success with the right incident management solution? 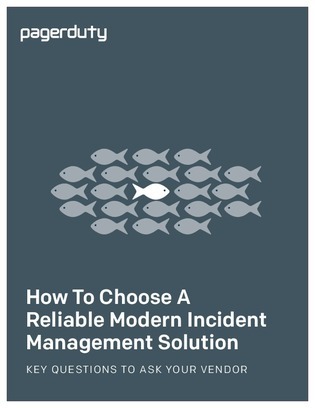 Download this eBook and uncover the key questions to ask when evaluating an incident management vendor.